Welcome to the final SJS newsletter of this half term. I hope you have a restful and relaxing plan for next week. 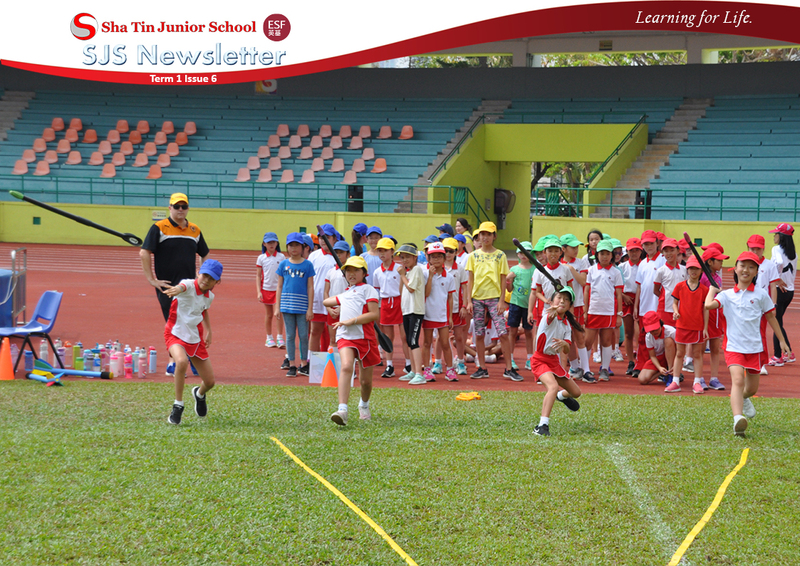 Our annual Athletics Carnival on 8th October proved a successful and enjoyable enhancement to the school programme. It was great to see our talented athletes performing to the best of their abilities. I am sure some school records were broken and many personal bests were achieved. Mr. Kelleher will be updating the honours list soon. Also notable was the sense of inclusion which permeated the events. All the children were keen and excited participants, irrespective of their ability levels. The level of support shown for those children who, may not be blessed with athletic excellence, but persevered to complete their events, was humbling. We can be proud of the inclusive nature of our student group. Special thanks must go to Mr. Kelleher, Ms Ledesma, the teachers and our team of STC helpers for ensuring the effective organization of the event. While we are in a sporting mindset, please note that the ESF Hong Kong Run will take place on Saturday 26 January 2019. Further details will follow and please add the date to your diary. And … the Terry Fox Run, organized by RCHK will take place on 3 November. Details can be found later in this newsletter. Students from SJS and STC are working together to plan a series of events in support of Green Week in November. The idea is to hold a series of cross campus activities to raise awareness of our environmental footprint and to look at ways in which we can come together to reduce our impact on the environment. Details will be shared as they are planned. The week will culminate with ECO Friday on 23 November. 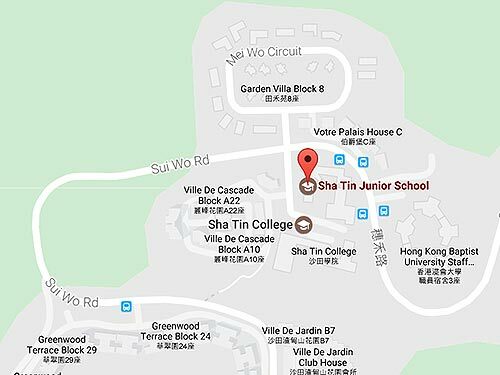 We will host a walk to school event, from Fo Tan MTR and will organize an enhanced shuttle bus service for the less athletically minded amongst us. We are also partnering with UNICEF to promote the Kid Power Programme – HK. The programme is due to run across selected HK schools in May 2019 and staff from UNICEF will speak to children in the Upper School about the programme at an assembly on Friday – after the Walk to School event. Unfortunately, Year 4 will be away on Camp for ECO Friday. We will make sure you are updated on your return. I am delighted to note that we have joined a rechargeable battery recycling scheme and that we now have a recycling station at SJS. Please bring your old rechargeable batteries into the school reception area for safe disposal. More details can be found later in the newsletter. We are inviting Year 1 and 2 parents to come into school to share a lunch with their child on these dates. Order forms for a Delicious Chef King lunch for the adults attending have been received and confirmations will be sent out before half term. If you are bringing your own lunch to the event, please set a good example for the children and bring in a healthy, home prepared lunch. Whilst fast food lunches are convenient, we would prefer not to promote them at school. We are hoping that a group of parents and children will be able to join us on Saturday morning to work on some of the minor improvement and repair tasks that are required around school. As a reward for the effort expended, we will provide a BBQ lunch for the workers. Further details will follow after half term. I would like to share with you the news that this will be my last year at SJS and I will be leaving next summer. I have now reached the ESF retirement age and will begin the process of looking towards the next step in my career. It goes without saying that I will leave with a heavy heart. This is my 11th year at SJS and I have loved my time here. For me, the privilege of leading this vibrant and successful school has been the highlight of my career as an international educator. I will always remain grateful for the opportunities that come from being part of our welcoming, supportive and inclusive community and I look back on our school journey with a sense of pride and satisfaction. I believe strongly that the success of this school is brought about by the strength of our community. We have enthusiastic and motivated students, committed and supportive parents and talented teachers and support staff. Leadership within the school community is widespread and there is strength at all levels. I am confident that the new Principal will be joining a successful school where there is a strong will to continue to grow and develop in order to provide the best learning opportunities for the students. The search for the new Principal will begin later this month. ESF will lead the process and the involvement of the community will be a high priority. Summer is a long way off and we have much to do before the end of the school year comes around. I am looking forward to the next 9 months and will work hard to ensure SJS remains well placed for the journey ahead. I will enjoy my remaining time at SJS and look forward to a productive year ahead. A lot of everyday products contain rechargeable batteries. And while it helps the environment to re-use batteries, the benefits don’t extend to disposal. Rechargeable batteries contain materials that can be hazardous to people and the environment. They also contain valuable materials that can be recovered for use in other products, such as magnetic alloy and stainless steel. The best solution is to recover the batteries and recycle them. With that in mind, SJS now has a battery recycling station. Please bring in your old rechargeable batteries for recycling so we can help save valuable resources and stop hazardous waste going into landfill. Just look for the box in the reception area. The total amount of clothing collected was over 6 tonnes! This is an amazing figure for us, and we could not have done it without you. Your school collected 451kg which is the equivalent weight of a grand piano! Overall, the 6 tonnes of donations were distributed across the following organisations. Some organisation receive a lot less than others, this is because of their storage constraints and because they might generally be a smaller charity. If you have any further questions please do let me know! I am also attaching a photo from the charity Lizzie Bee who used some of their donations of white cotton t-shirts for a weaving project using indigo dye.